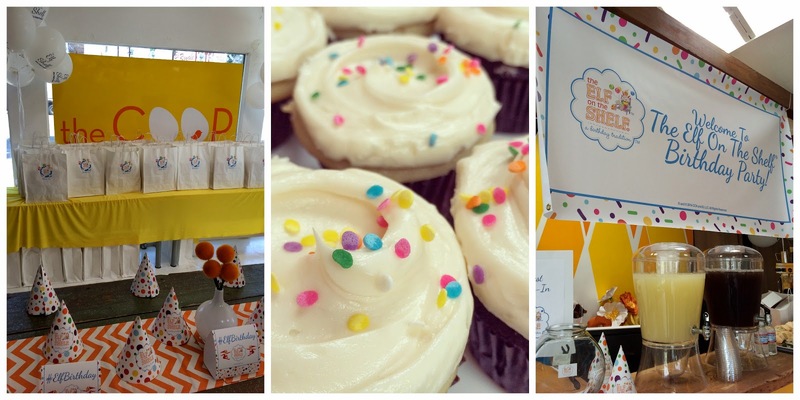 A new tradition is here to help make your child's Birthday even more magical. 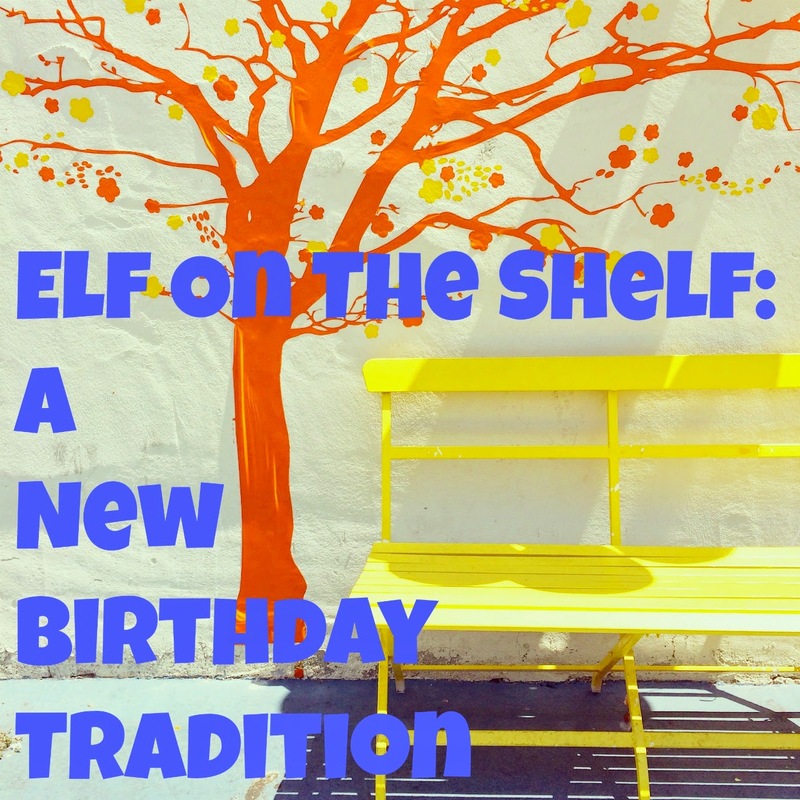 From the creators of Elf on the Shelf: A Christmas Tradition, comes a new family tradition for your child's Birthday - Elf on the Shelf: A Birthday Tradition! There is a new book and a new story with instructions on how to invite your family elf back to help you celebrate. 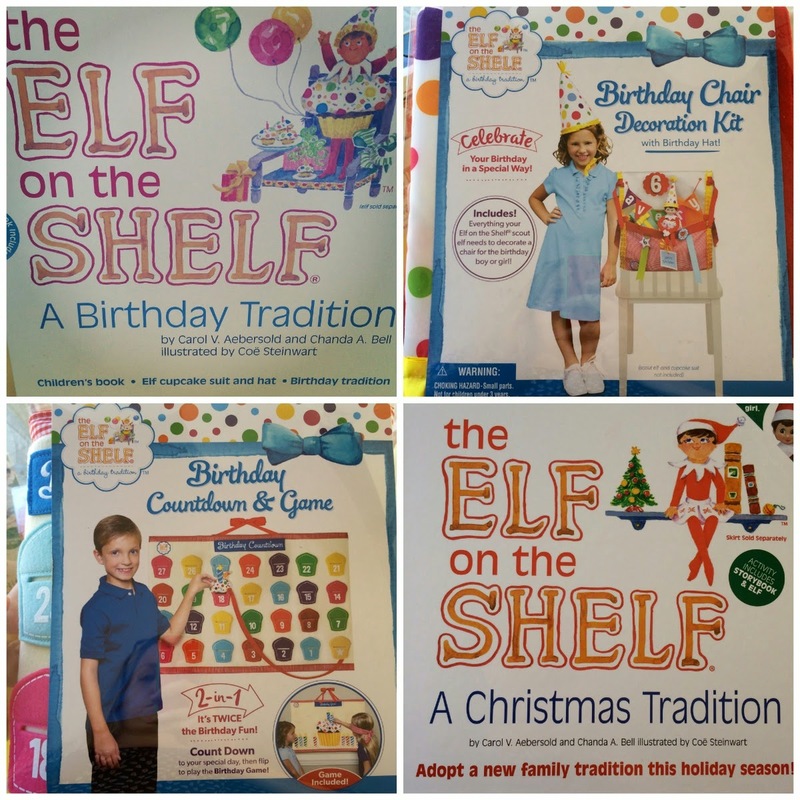 If you are already have an Elf of your very own, won't your kids be surprised when he or she shows up for a very special 24 hours during their birthday dressed up in a cupcake outfit and party hat? Check out all of the new products on the Elf on the Shelf website. My daughter's birthday is at the end of this month and we can't wait to start up this new tradition to make her day even more special. I mean who likes Birthdays better than Santa? He's so busy at the North Pole to come and visit during your child's special day, but he's happy to send an Elf! 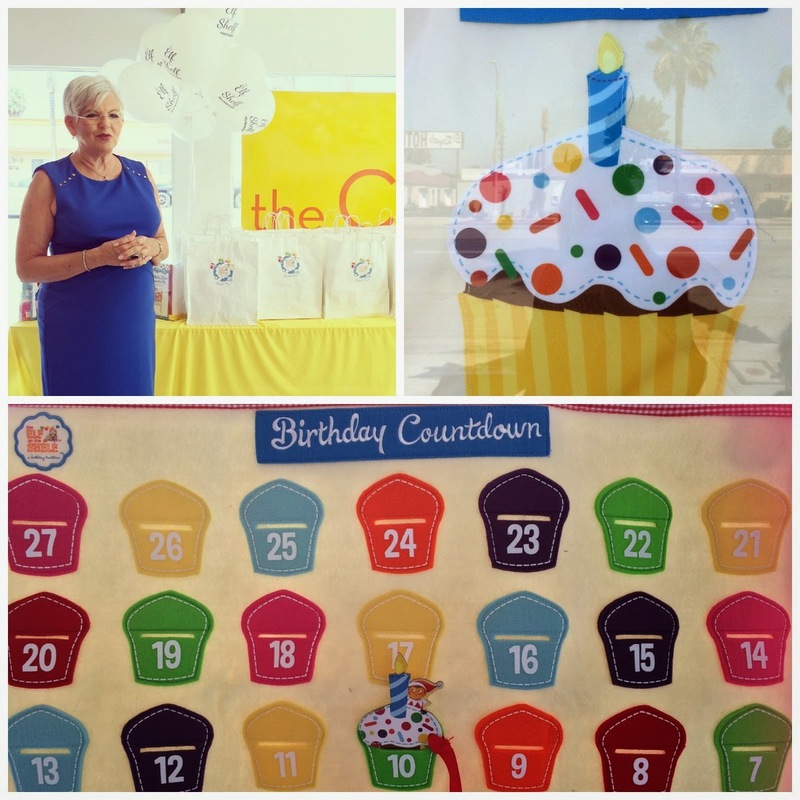 We have hung the Birthday Countdown Calendar up and are going to decorate her chair on August 28th (her 7th Birthday) with the Birthday Chair Decoration Kit. It looks like this tradition is going to stay with my family for a long time. Added bonus: As if you needed another reason to feel good about purchasing the "Birthday" book. I think it is important to mention out that $1.00 of each sale goes to help get clean water to those who need it. They have partnered with Charity Water, such an amazing cause. 800 million people in the world are without clean water, many of those people are children. Birthdays can be a time of giving and receiving. 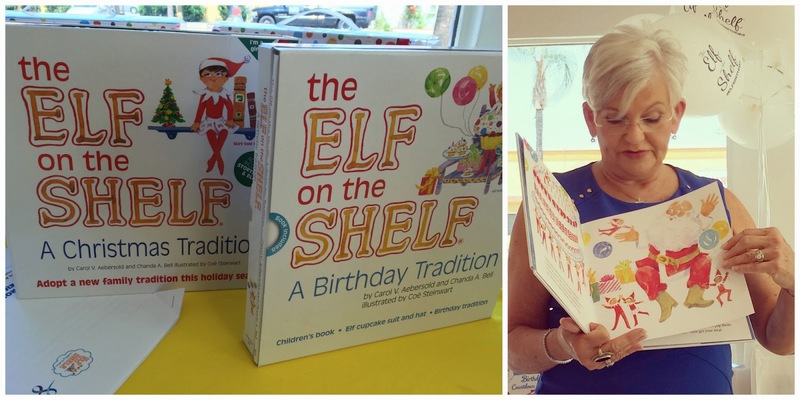 When I attended the Elf on the Shelf Birthday Party in Studio City at The Coop this Saturday I had no idea that I was going to meet Carol Aebersold, the co-creator of the brand. Sometimes you end up in the right place at the right time where you encounter someone who inspires you, or shares an encouraging story. Often that meeting is unexpected and serendipitous, but they can deliver a message that was just what you needed to hear in your life. I'm at a cross roads in my career right now and I appreciated hearing Carol speak candidly about her journey building The Elf on the Shelf brand. How she was an empty nester with extra time on her hands. How she joined forces with her daughter to write a book, and how no one would publish the book in the beginning. They had many obstacles and were faced with plenty of adversity during their journey, but in case you haven't heard "Elf on the Shelf" is a household name! I can't tell you how many pictures of these Elves I see on Facebook, Instagram and Pinterest every December. Not to mention they have their own TV special and even have a balloon in the Macy's Thanksgivings Day Parade! It just shows you that an idea that you truly believe in can become something great, if have the right team beside you. With hard work, and determination, you can become successful beyond your wildest dreams. Disclosure: I was invited to a blogger bash and given a swag bag filled with Elf on the Shelf products. All thoughts and opinions are 100% mine and 100% fresh.